A book to end all books? There is a too-commonly analogy used for tough tasks or times being like WW1 trench life. In this case it is appropriate both because this book starts in those trenches, and because at times getting through it felt how I imagine struggling through gluey mud might be as bombs slam down around and the tears roll down my face, failing to wash away the false hope that one day it will all be over. Alright, that's a tad harsh. 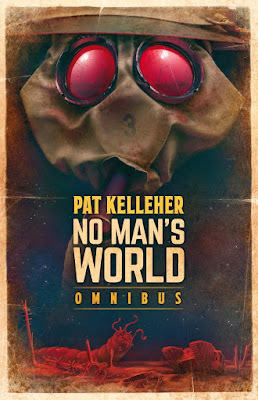 A mightly-tad harsh, in fact, as there is a lot in Kelleher's writing to enjoy. Sadly there is so much to not enjoy that this is my 'didn't finish the book' book review for the season. We begin on the Western Front in October, 1916, as various British soldiers are introduced within the terror and tedium of trench warfare. Kelleher from the off shows he hasn't skimped on research time and seems to relish each piece of jargon he sprinkles into the prose - 'whizz-bangs', 'Very lights' and 'Blighty's abound. However, whilst the stage feels authentic to someone who has studied the era and the conflict in some detail themselves (I was obsessed with WW1 as a teenager), the actors and action placed on said stage don't, quite. The key blame lies I think from the start with Kelleher's dialogue. Perhaps he is the victim of over-familiarity with the 'bloody 'ell, Tommy' way of talking by the soldiers, or the 'that will do, lad, stand down, there's a good chap' of the officers. Yet there are ways to make cliches come alive again, and his characters don't manage to feel like real people you would meet in the street, withe in 1916 or now. There are a couple of exceptions, particularly once time is given to the inner thoughts of some of the men, and the key characters of Atkins, Everson and Jeffries seem to be made of more complex stuff, but the pantomime 'gor blimey' feel of the rest of the cast of conscripts kept me firmly in the 'disbelief unsuspended' camp. Soon enough, the reverse deus ex machina arrives - an explosive earthquake, a fog, and a bang, and the Tommies' patch of Somme earth is teleported to what quickly turns out to be another planet. Rather handily, the air is breathable and the temperature survivable, but of course almost every single animal and plant not only can but actively wants to kill them. Marooned on their field of mud and surrounded by giant hounds, flying dinosaur-type things and grass that shoots spikes, our soldiers, along with a priest and a few nurses, must learn both to survive and how they came to be there, in order to find their way back home. The author, despite my above negativity, is a decent world-builder, and his descriptive language is often rich and imaginative, and constitutes much of my enjoyment and my continued interest in reading. Although the lurches into fantastical action are not often smooth (weird boulders are 'casually' mentioned then in the next paragraph reveal themselves to be killer beetles, for example), the visual detailing is a large ingredient in the fun of the tale. However, Kelleher then lets it all down by enormous, giant beetle-sized failures of logic and description. The best example is when a native of the planet is first encountered. The briefest of description of them as a 'wild man' with standard human appearance is followed by his immediately talking to them in broken English. This is calmly accepted by the soldiers - "the Tommies were not too shocked that the man spoke English. As soldiers of the great and glorious British Empire, they were used to the idea that Johnny Foreigner would speak at least some English, even if it was in an odd accent. It was only right and proper, after all". It might seem odd that I have just quoted a fairly random line of the novel at length, but this was the exact point at which the story began to lose me, and looking back on it now, there is so much wrong here. Now, I'm not thinking the author is saying that about their reaction with anything other than hindsighted sarcasm, but the very fact that he is commenting from afar on their beliefs left me cold, for if that is what it is, it is a self-congratulatory and distancing authorial voice we are hearing, not that of a passive narrator of fantasy and sic-fi adventure. As elsewhere, Kelleher feels the amateurish need to overstate, to underline his points. Whilst this is happening, though, the complete lack of logic to why they are talking in English (don't even get me started on the insect overlords chatting away to the soldiers) is not addressed. I don't mean addressed by the writer - that explanation may come later - but addressed by anyone in the story. No one says 'we are on an alien planet and maybe we should wonder at that'. It would be my first question after hello. The weak plot points continue, and are too numerous to mention, but a vital one to highlight is the Jeffries character. A mysterious, devil-worshipping murderer of an officer, it is his actions that largely further the plot, and for a while we are given hints it may be his fault the teleportation happened. However, whilst anyone, anything of distinction from the swathes of blandly gruff yet loveable Tommies is welcome, his arch villainy is too cartoonish. Sure, we are in a world of trees with poisonous snot and insect slave-owners who can leap 30ft, but to not ground the human reactors to the world with relatable behaviour, even if that is murderous and insane, is a fault. Am I being too harsh on what is surely meant to be a fun piece of classic sci-fi homage to Burroughs, Wells et al? It's WW1 soldiers fighting aliens for cripes's sake. Well, no, I'm not. 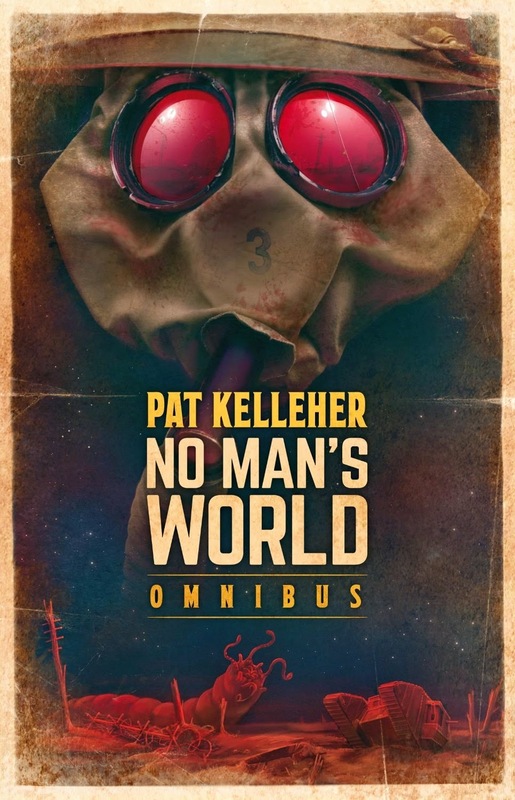 If Kelleher had the vigour and skill to launch into his tale sharply and tell it with rhythm and flair, this might have been my read of the year - it is after all a great premise with lots of potential. But he labours through introduction after introduction and then labours through page after page of dull interpersonal relationships between the soldiers, constantly sapping the pace. Letters home to a sweetheart are used to skip periods of time, when we should be breathing each breath of their existence, and action is delayed in favour of cheery exchanges over work duty or about the attractive nurses- UM! EXCUSE ME GUYS! YOU ARE ON AN ALIEN WORLD THAT INSTANTLY ATTACKED YOU! Maybe a little focus and speed to events?! It is almost as if Kelleher is distracted from his plot by his world build and people, and forget they are there to serve the story, not the other way around.